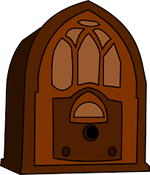 Tune in to the Our Aging World radio program on Saturday November 24 on WINT Radio (FM 101.5; AM 1330) at 3:00pm EST. Joey Tomsick, director of the Lake County Council on Aging, hosts. LCGS board member Linda Poole will be talking about her genealogy adventures. She will also discuss LCGS meetings, our wonderful programming, and the genealogy resources at Morley library in Painesville.